For removing linoleum carpets, there are many types of cutting tools available in the market. It is obvious to use one such tool, especially if you have purchased a used house. However, of all those tools, the Linoleum knife from M-D Building Products makes you a professional carpet remover in no time. According to many customers, it is an amazing cutter that not only fulfills its promise of doing what it should do but also delivers an unexpected performance beyond that promise. This is because you will not expect much from a very affordable knife. Still, it is not surprising that it works like an upscale, branded knife. For those who do not know, M-D Building Products is a brand whose experience and journey in making home tools is more than a century old. Today, it is a leader in the categories of flooring tools and accessories. 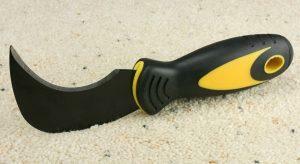 Some customers have tried this knife for knowing how hard or easy it would be to remove a carpet. The result was astonishing for them, as it was quite fast to cut or remove a carpet with this knife. In addition, it can cut a variety of other materials apart from linoleum. According to the brand, this tool is a carpet installation knife, which is of contractor-grade. Although designed for handling a carpeting project, it can cut a myriad of materials such as vinyl sheet items, vinyl tile, wallpaper, carpet pad, and linoleum. The blade has a curved shape instead of being a straight edge, which tapers toward the ground. Such a design helps in cutting by pulling, which minimizes the futile effort of concurrently pushing the blade into the material. This is something that a straight blade cannot afford. With a curved blade, you save much time in removing or cutting a carpet of around 700 sq. ft. It is also easier to do so with a curved knife than with a standard one. The design also enables you to extend your arm and reach out to the intended item, which is essential while making an incessant cut into a surface of during trimming or harvesting. The blade comes very sharp, which is evident when taken out of the box. It is so sharp that it passes through the carpet like butter. Commendably, it also remains sharp even if you use it several times against hard materials such as stone. The sharpness does not become dull at all. This is because of the high carbon steel construction. Carbon is the hardest element. 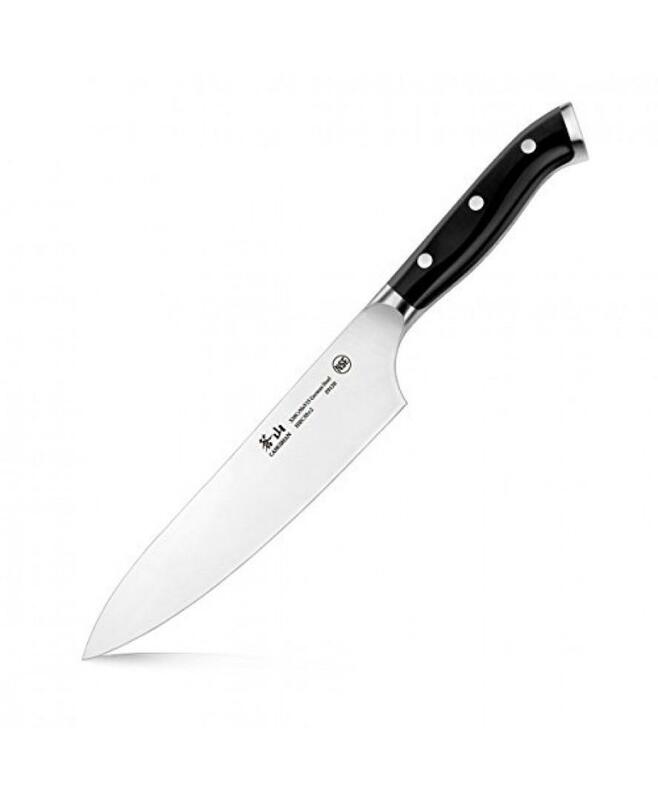 Thus, its strength and hardness deliver the ideal edge retention ability to this knife. 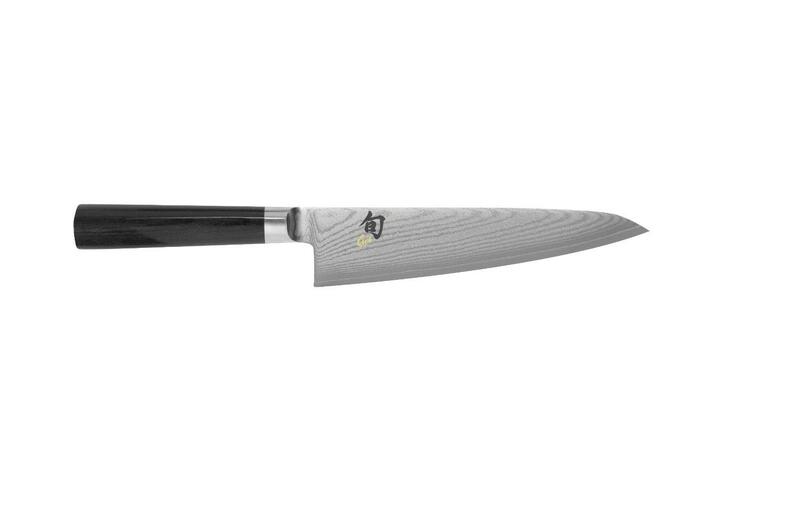 Such hardness also means precise cuts, which is why many cooks and survivalist prefer this steel over a stainless one. 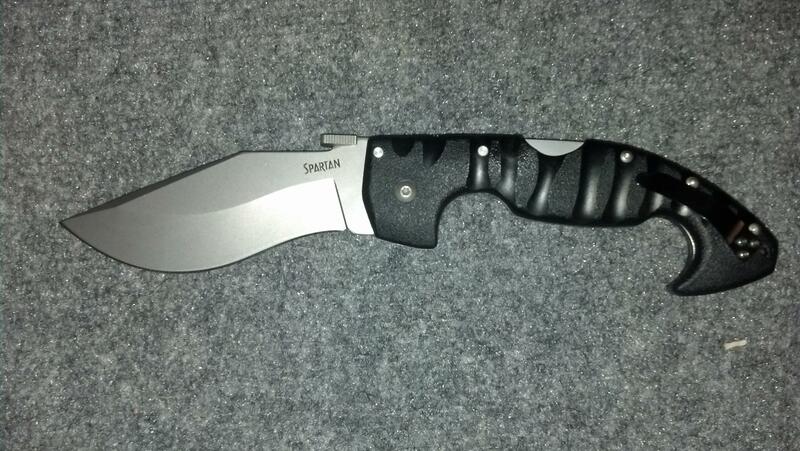 No other steel can compare to the sharpness of this one. The colorful handle is soft to hold and easy to handle, unlike a wooden handle. It is quite comfortable and large enough to ensure a secure grasp. Its construction material delivers a safe grip that is resistant to slippage. 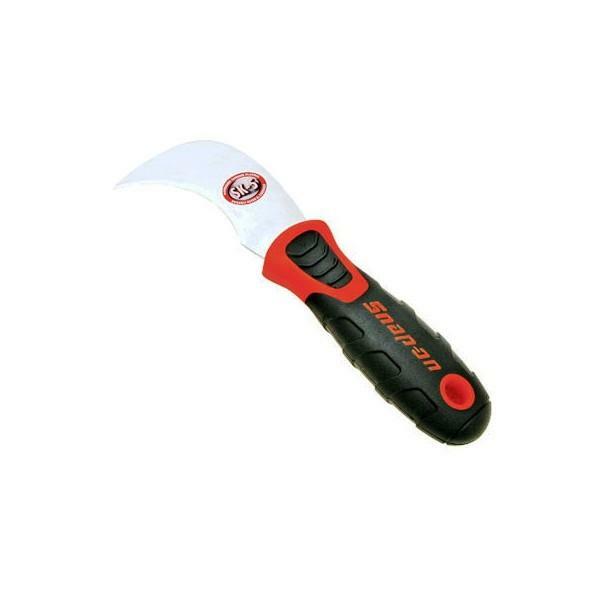 Well, the usage of this knife is not confined to the flooring tasks or cutting linoleum or vinyl sheets. You can use it for cutting boxes and opening packages of plastic, without facing any issue of dulling. Further, the knife makes removing vinyl from a concrete surface the easiest task ever. You can also use it as a weed cutter. 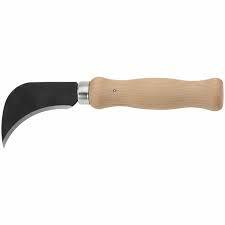 The credit goes to the curved blade, as it can effectively cut the weeds between the patio pavers. You can even use it to remove additional stuff from between the ceramic tiles. 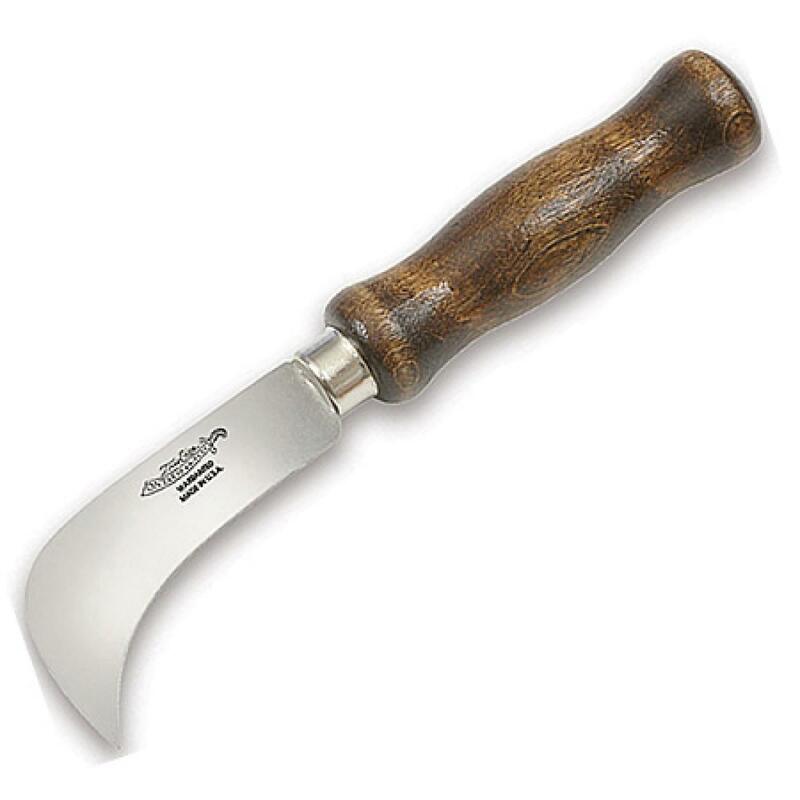 This Linoleum knife is a heavy-duty tool with extremely sharp and curved blade for varied uses. 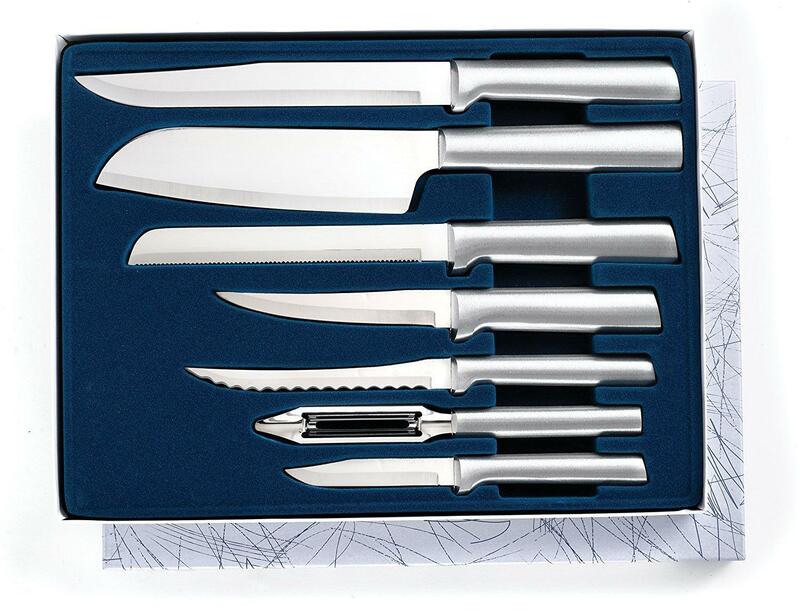 It certainly exceeds the quality and price of upscale branded knives.